I have previously warned that unless something is done to reverse current demographic trends, economic necessity, together with the ‘culture of death’ ideology which is becoming more openly accepted, may well mean that the generation that killed its children will in turn be killed by its own children. In other words legalised abortion will lead to legalised euthanasia as a cost-saving and population-control measure. 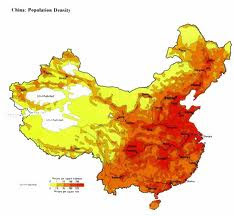 The Political blog ‘Turtle Bay and Beyond’ reported last week on an interview with CFAM’s Susan Yoshihara on the population crisis in China. I have previously highlighted Sunday Times columnist Minette Marin’s proposed final solution(£) for Britain’s growing number of elderly people and another article in the same paper linking euthanasia with demographic trends. Marin’s solution is euthanasia – ie. continue with our consumptive lifestyles and small families and kill off the elderly. So our total debt will be around £3,000 billion (£3 trillion) in just three years’ time. The real answer is not euthanasia. The real answer is in our grasp, but it requires a completely different mindset to that which has led us, in our reckless pursuit of affluence and personal peace to mortgage our present, bankrupt our futures, and see those who rely on us as a burden rather than a privileged responsibility. In the first, the independence and autonomy of the individual rule absolute and the weak elderly take an ‘honorable exit’ so as not to burden the young and virile. "The other, by contrast, is an inter-dependent world, where each person, regardless of their level of infirmity or disability is loved, cherished, valued and given the very best level of care that money can buy; one where the strong make sacrifices for the weak, where resources are spent on those who most need them, where what I have is yours if you need it, and vice versa. " Possibly the most obscene bit of errant nonsense I've witnessed on the web. You seriously need to recheck your premise. What ever happened to saving for your twilight years instead of expecting the government to care for you? Or is personal responsibility for your own life a concept you don't get? Remember the precept by which you live, God helps those who help themselves. If you aren't going to help yourself, why should I bother? Preparing responsibly for one's retirement is good stewardship but most people who live responsibly can do this AND also, by living simply, provide for those in genuine need out of their excess. I am challenging both those capitalists who think that they have no responsibility to care for anyone else AND those socialists who think that the world owes them a living and that they do not have to raise a finger to provide for themselves. Thank goodness that there are people like Peter Saunders who have the courage to understand and speak the truth despite the mocking and name-calling that results. I am always so refreshed by his writing - a ray of sunshine in a darkening world.